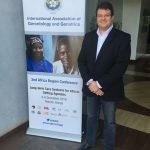 Dr Marvin Formosa, INIA’s Director participated in 2nd Africa Regional Conference on Long-term care systems for Africa: Setting Agendas. 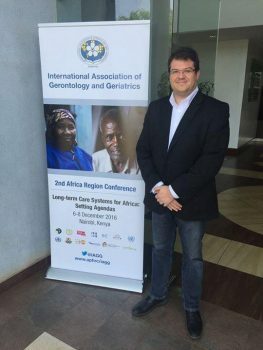 The conference was organized by the International Association of Gerontology and Geriatrics (IAGG), from 6-8 December 2016 in Nairobi, Kenya. The conference sessions explored the broad deficiencies in current long-term care arrangements for older adults in sub-Saharan Africa, and the urgent need for more effective and appropriate systems to address the care needs of a rapidly expanding older population. The conference served as a platform for open and practical dialogue among policy, research and practice stakeholders to jointly forged agendas for the development of long-term systems of care for Africans in coming decades. More than 100 academics, service providers, advocates and government stakeholders from around the region and beyond attended the conference.